The Years 3/4 team had another successful game of Flippa ball. All the players played fantastically and stayed in the positions they were assigned. The strikers did really well at getting to their positions, passing the ball between them to shoot for the goal. The defenders did a great job at picking the closest opposition and sticking to them, stopping the opposition from scoring. The score was 8-2 and Player of the Day went to Sienna Phillipps. A big well done to James Nathan for helping the other team out in the last few minutes by jumping in and being their goalie. 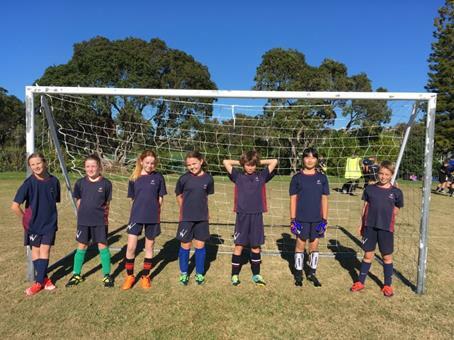 The Comets had another slight loss this week, 7-9 against Orewa North School. Although the Comets played well and made some great intercepts, the Orewa players had a long throw which helped them to get those few extra points. We are going to make an extra effort to reach for rebounds this coming week, which Jared and Austin think will make all the difference to the result. Jared Davies was this week’s Player of the Day, for his fantastic goal scoring. Well done, Jared, keep up that good work. There will be no Sunday practice this weekend as it is a Long Weekend!! Wow! What an exciting game! The Rockets played their hearts out and won by an astounding 12-0! Goal scorers this week were Amy, Brooke, Ben, Ethan and Eli. A real bonus to this game was seeing the Rockets continue their passing. Sharing the ball is what is making all the difference to the final results every week. Good on you all, Rockets! Daniel was the player of the day this week for his great all round play, but mostly for his brilliant defence. Well done, Daniel, it really is just as important to keep the other team away as it is to be the goal scorer. Once again, the Rockets have proven that they are a formidable force. Good on you Rockets, keep up the great work! It was a cracking game of netball last Thursday night. The air was clear and crisp and so were the skills of our new netball team. Our defence was superb against the in form, Barracudas, with the Wentworth Stars highlighting many of the new skills they are developing at training. At times our attack was smooth and swift with players finding space across the court. The shooters were on form with many long range shots finding their target despite our GA and GS being put under a lot of pressure. The final score was 10-11 to the Barracudas, demonstrating a close, exciting and hard fought game. Our Players of the Day were Charlotte Sancto-Jones and Bethany Smith who were both invaluable in their hustle on defence and their accuracy with ball in hand. Keep it up Stars - you are an exciting team with enormous potential! Netball trainings will be at lunchtime on Mondays & Thursdays. Please bring your PE kit and netball shoes to train in. Thank you!